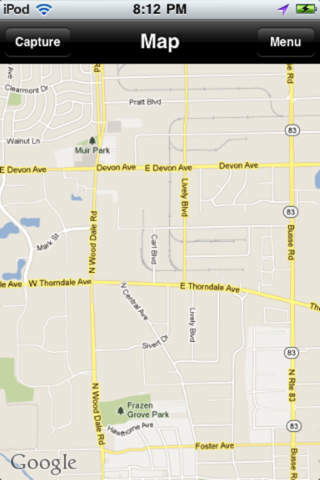 This is a great combo map app for iPhone. It suppports multiple popular map sources. Therefore, you can choose the map source that works best for you. The app supports multiple map display modes for each map source, including standard, satellite and hybrid. It supports both Locate Me and address searching for you to easily find the location. 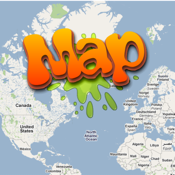 What makes this map really different is you can even take a screenshot of the map, and add text, markers, or other graphic elements on top of it and send it to your friends through email. It provides many drawing tools for annotation purpose, including free form drawing, text, line, line with arrow, rectangle, circle, ellipse, etc. You can draw them in different color, line width, transparency. The app supports drawing in both solid mode and dash mode.